You are here: Home / Tega Cay, Fort Mill Real Estate / Tega Cay Home Sales Picking Up! Tega Cay Home Sales Picking Up! 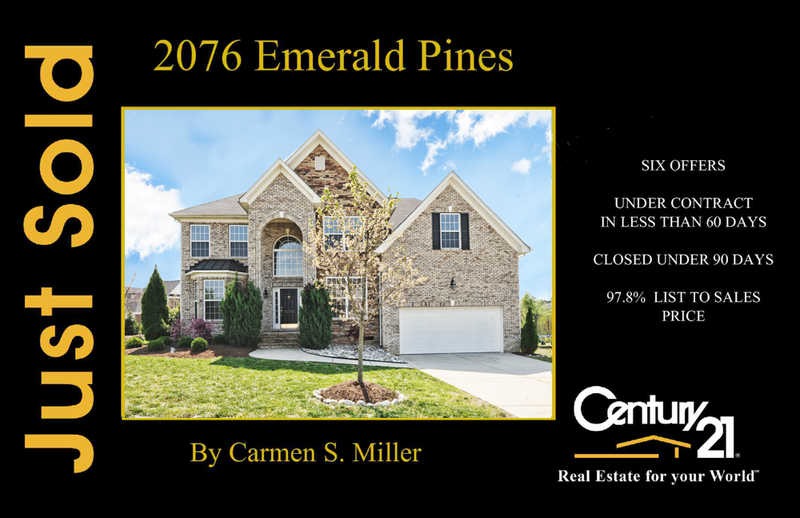 Just Sold (September 2012) by Carmen Miller Century 21 First Choice in Tega Cay, SC. 2076 Emerald Pines. Was under contract in less than sixty days. Closed in less than 90 days. Sold at a price that was 97.8% of the list price. While every home will have it’s own selling history this one, I believe, is an example of a market shift for our area. Homes are selling faster, multiple offers and back up offers are once again resurfacing. While selling prices are not showing a dramatic increase, low inventory is promoting buyer urgency. This is reflected in the higher list to sales price percentages. I am excited to see our market showing positive signs for our sellers once again! If selling your home is in your immediate future or you would just like to get more information about the market as it affects your neighborhood I would be happy to send you an online report. Contact me to find out more on how all these?positive?changes can affect the selling of your home!